Heh. 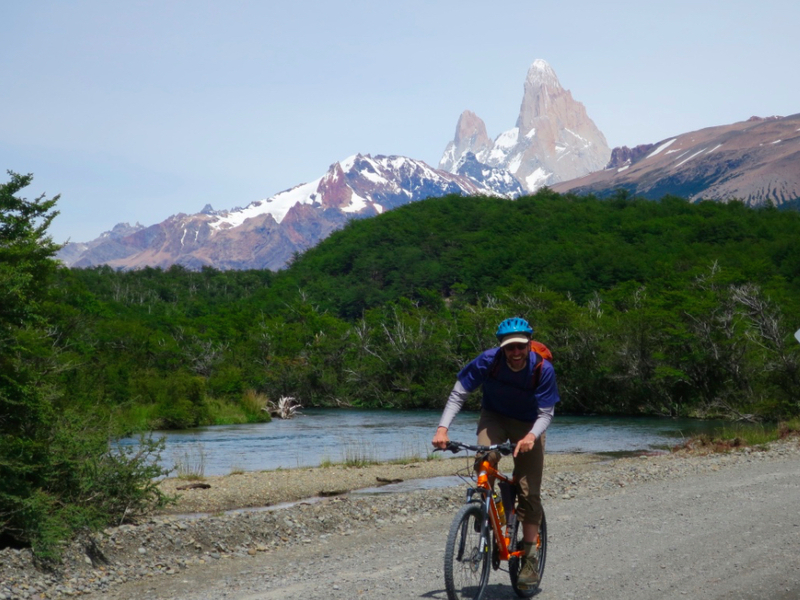 I know I mentioned previously that this last trip to South America was not a biking trip — but of course we found a way to sneak in a little bit of bike time. So we spent a lovely day biking around, hiking at a few spots along the way, stopping at places that seemed cool, and making a lovely jaunt out of riding back to town. 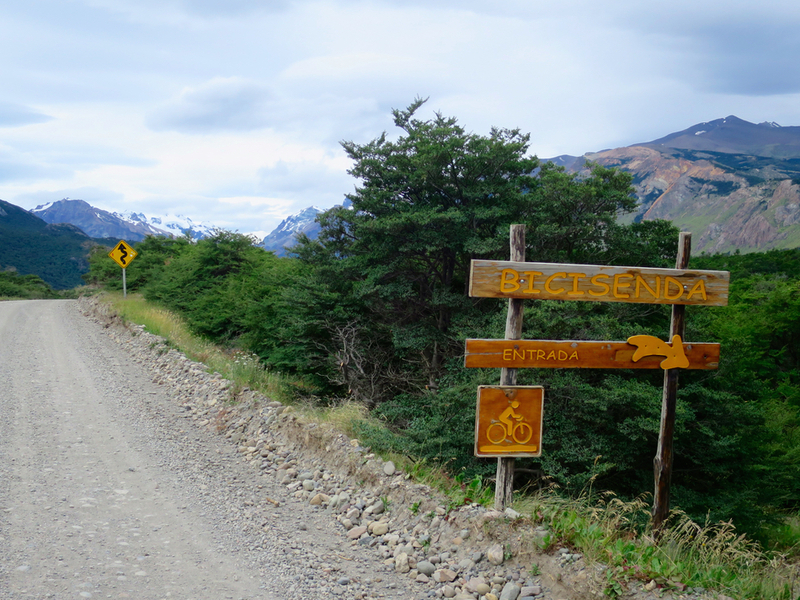 We even managed to find El Chaltén’s only “bicisenda” (“sendero” = trail; bicisenda = bike trail) a funny little 2km-ish singletrack, the only exclusively bike path in the area. I was actually fairly often glad, on this trip in general, that we were hiking rather than biking — simply because the wind was so crazy. Anything that’s hard to walk in is not, I imagine, super pleasant to spend a day biking into. 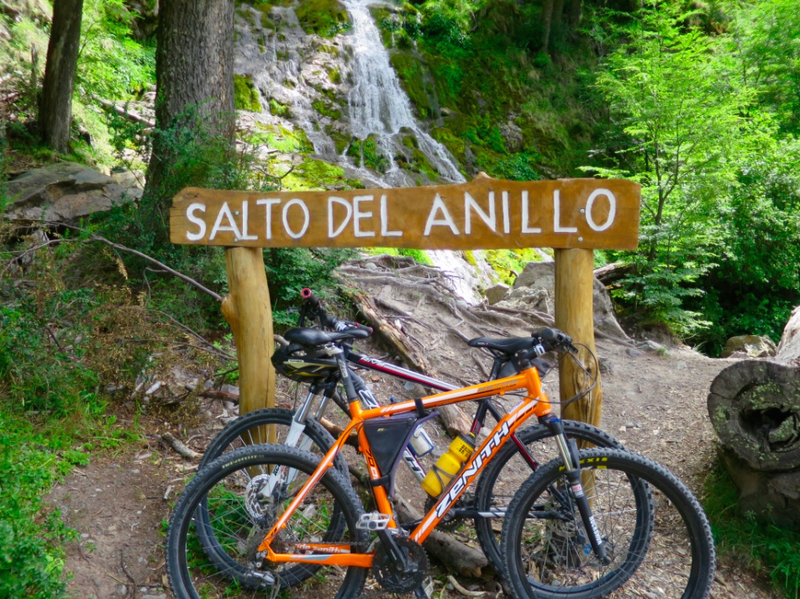 Though we did see several bike tourists, and they seemed like they were having a good enough time, so maybe it’s one of those things that seems worse when you’re anticipating it than it actually is when you’re living it.